Warner Bros. have just announced that Harry Potter: The Exhibition will begin its next run this fall in Sydney, Australia. The exhibition is scheduled to run from November 19, 2011 through March 18, 2012 at the Powerhouse Museum. Sydney, 8 July, 2011 – Harry Potter fans will soon get the chance to step inside the famous wizard’s magical world with Harry Potter: The Exhibition, opening at the Powerhouse Museum on 19 November 2011. Tickets for this amazing exhibition are on sale from Tuesday 19 July, offering visitors an up-close and personal look at the artistry and craftsmanship that went into creating the iconic props and costumes that have appeared throughout the Harry Potter film series. Hundreds of authentic film artefacts will be displayed in settings inspired by locations from Hogwarts™ School of Witchcraft and Wizardry, including the Gryffindor™ common room, Hagrid’s hut, the Great Hall and many more. New original props and costumes from Harry Potter and the Deathly Hallows – Part 1 and the highly anticipated finale, Harry Potter and the Deathly Hallows – Part 2, will also be on exhibit.? 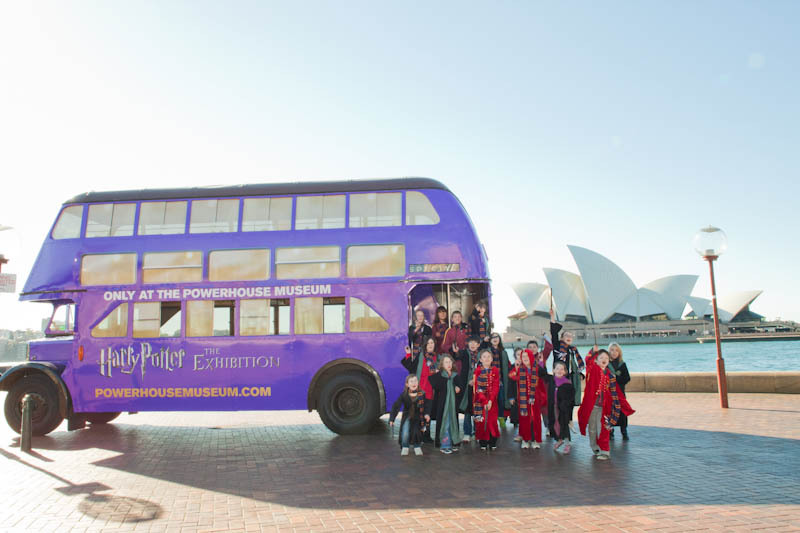 The Powerhouse Museum is the exclusive Australian venue for Harry Potter: The Exhibition, scheduled to run from 19 November 2011 to 18 March 2012. The Museum is the sixth venue to host the exhibition and the first venue outside North America. This will be the first international stop for the exhibition, which is scheduled to continue its run around the globe after Sydney's stop, so stay tuned for more information regarding the exhibition.